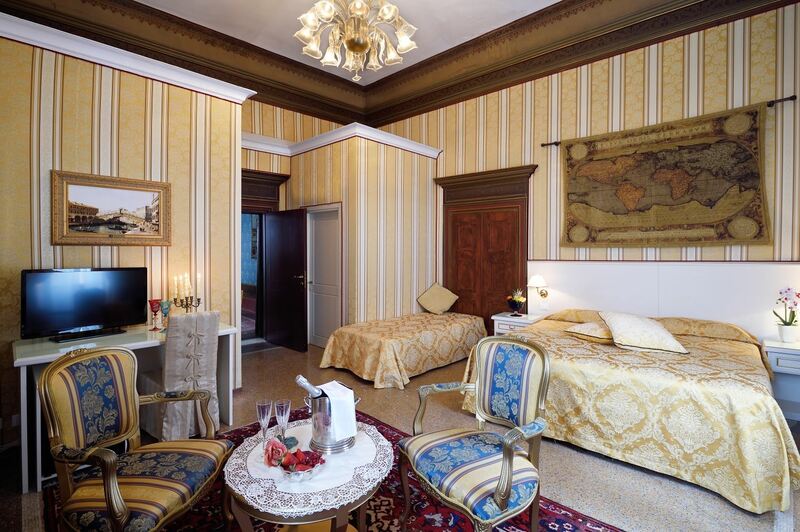 The structure is composed of a 3- stars hotel and of two prestigious Bed & Breakfast placed on the “Piano Nobile” (second floor). 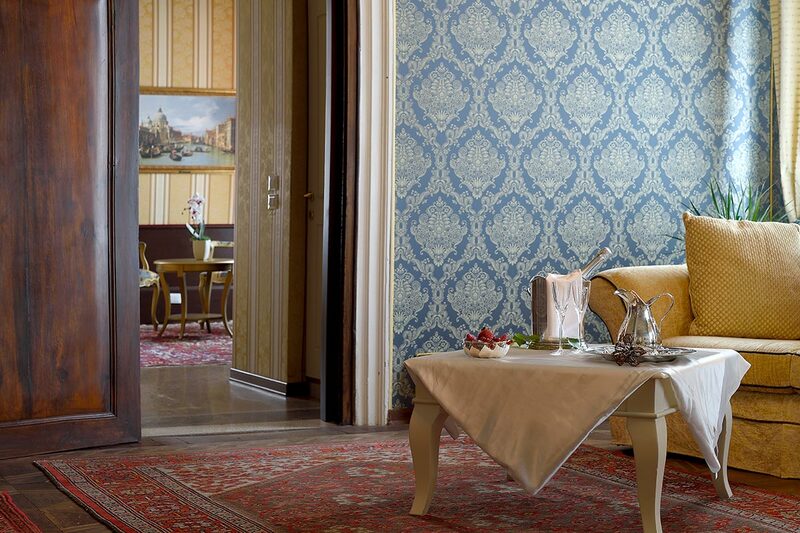 The Corte dei Greci hotel having a really exclusive location is the best solution for people looking for a stay near St. Mark Square and its treasures such as the Doge’s Palace , St. Mark Cathedral and the Bridge of Sighs. It is as well an ideal point of departure to reach all the most important historical places such as the Accademia Gallery, the Peggy Guggenheim collection , the Fenice Theater, the Miracoli’s church, San Zaccaria’s church, the Ca’ D’Oro Palace and also the main conference centers (San Giorgio and Zitelle) and the pavilions of the Biennale Art and Architecture in Venice. The recent restoration has maintained the charm and the original feature of the building. The perfect harmony and balance of plasters, damask fabric, furniture, marble venetian flooring, frescoes, ceiling with exposed beams (Sansovino style), everything has been handled with the maximum care of details and elegance for re-creating the atmosphere of the Venetian 18th century without neglecting anywhere the comfort of the modern technologies (self-regulating air conditioning, complimentary fast access WI-FI internet, direct telephone line, TV satellite minibar and safety-box). 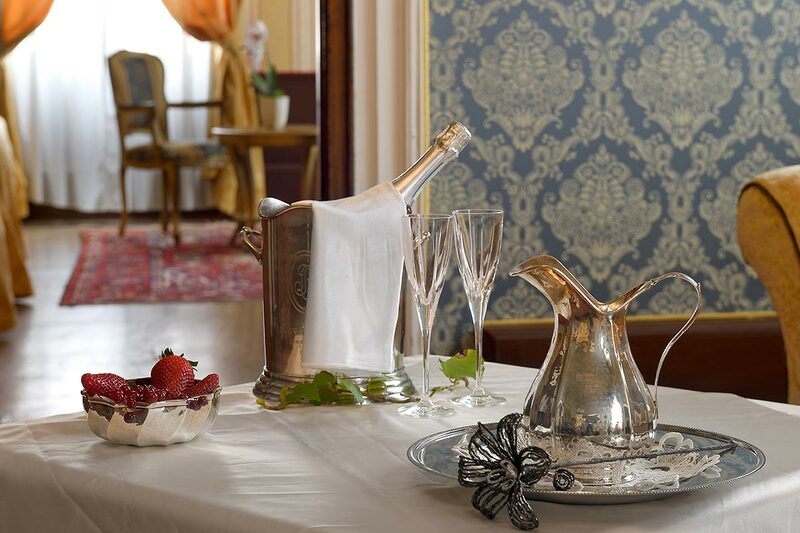 The privileged position of the hotel’s location offers to its guests a sensational view from all rooms. 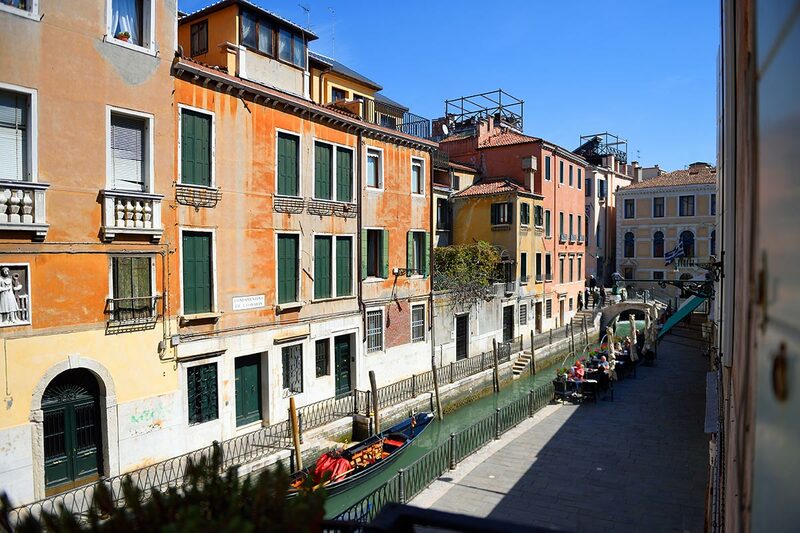 From the large and well lighted windows guests will have the possibility to admire the canal below, the gondolas passing by, the dome of S.Giorgio Church, the Bridge dei Greci, the typical internal court with its well or one of the most rare and green corners found in Venice’s historical centre.